What is the Marital Deduction in Los Angeles? 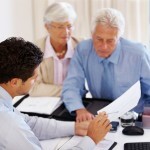 The marital deduction is certainly one of the most powerful estate planning tools at your disposal. This deduction allows all assets passing to a surviving spouse to pass tax free when the first spouse dies. However, this does not solve the estate tax problem. That is because, if the surviving spouse cannot take advantage of the marital deduction when he or she passes away. Under federal tax laws, married couples are allowed to give an unlimited gift to their spouse. This is known as the marital deduction and provide a way for married couples to transfer their property to each other, during life or after death, and avoid federal estate or gift taxes. When the spouse giving the property dies, the value of the property that passes to the surviving spouse will be deducted from the deceased spouse’s gross estate. The amount of this deduction is unlimited. However, there are a few requirements. the interest cannot be a “deductible interest” (i.e., home mortgage interest and student loan interest). the property must be given to the surviving spouse without restrictions (e.g., leaving some assets to children). the interest cannot be a “terminable interest,” (i.e., one that expires after a certain period of time or due to an event or the nonoccurrence of an event). the surviving spouse must be a U.S. citizen. By leaving your entire estate to your surviving spouse, you can easily eliminate estate taxes. Therefore, the benefit of the marital deduction is that, couples with significant assets, are able to postpone the payment of estate taxes from the first spouse. Every person is also entitled to a lifetime credit or estate tax exemption. This additional credit allows you to avoid estate taxes on any other property that is left to non-spouses. At the death of the surviving spouse, if the estate does not exceed the annual exclusion amount, the estate will not be subject to any taxes. The lifetime exclusion amount as of 2013 is $5.25 million. In the end, the marital deduction is a valuable estate planning tool, especially when combined with other estate planning strategies to make it more valuable. Fortunately, unlike many states, California does not have a state level estate tax. To take advantage of the unlimited marital deduction, however, you must be married to an U.S. citizen. Transfers of assets to non-citizen spouses are subject to the estate tax. If I Die Intestate in Los Angeles, How will my Property be Distributed? Do I have to pay taxes if someone gives me money?